As the gateway to what is essentially the southernmost point of aerial entry into South Africa and the African continent, Cape Town International Airport is of immense strategic importance. It’s hardly surprising then that this airport, which underwent major expansion to accommodate the 2010 FIFA World Cup air traffic and tourist influx, has since undergone further extensions to increase domestic and international arrivals and departures, amenities as well as parking. 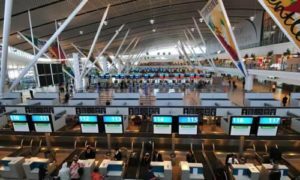 The expected date of completion for these renovations to Cape Town Airport – the second busiest airport in southern Africa and third busiest in Africa overall – is 2022. 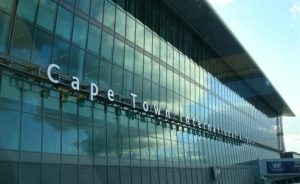 Cape Town International Airport – the awards just keep on coming! The airport’s revamp has certainly not gone unnoticed – it won second place in the Airports Council International Airport Service Quality Awards (ACI-ASQ Awards) for the Middle East and Africa in 2006, 2007 and 2013 and placed third in 2008 and 2016. This is no small feat, since it meant beating out notable Middle Eastern heavyweights such as Dubai International Airport. Cape Town Airport’s best performance came in 2010 to 2013 when it placed first for four years consecutively. Most impressively of all, the overall magnitude of the achievement has been that this airport has placed in the top five in all years barring one since the inception of the Awards. The airport features high-tech processing, security that exceeds international standards, world-class duty-free shopping, a number of fast casual dining restaurants, and all the regular amenities such as mobile phone kiosks and forex exchange outlets that you’d expect as a traveller. 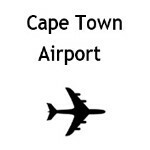 Essentially, Cape Town Airport has one central terminal building. It connects the north and south terminals, which previously housed international and domestic arrivals and departures separately. Subsequent to the major renovations, these two terminals were connected via the central terminal. This is now where all check-ins take place, at any of the 120 check-in desks and 20 self-service kiosks. There are clearly visible information kiosks on either level, should you need assistance. There are numerous international and local vehicle rental agencies at the airport. These include Budget car hire, Avis, First car rental at Cape Town Airport and many many more. They are all situated at the Transport Plaza and Central Terminal Building, which are reached easily via two pedestrian subways on each side of the central terminal building. These subways give you access to the car hire companies at Cape Town International Airport vehicle rentals and the shaded parking areas. When booking car hire at Cape Town Airport, please ensure you have a valid drivers license with you. The airport is about 20 km from the city centre, foreshore and V&A waterfront where most of the tourist accommodation, activity hubs and business bubbles are located. Facilities at all airports in South Africa, including at Cape Town International Airport, are compliant with minimum standards required by travellers who have different mobility needs. Travelators, gentle gradient ramps, dedicated passenger lifts to all levels and wheelchair access to shops, restaurants and viewing areas are in place, and airport staff is on hand to help. Improving access for passengers with different mobility needs is also one of the priorities in the current set of renovations at the airport. 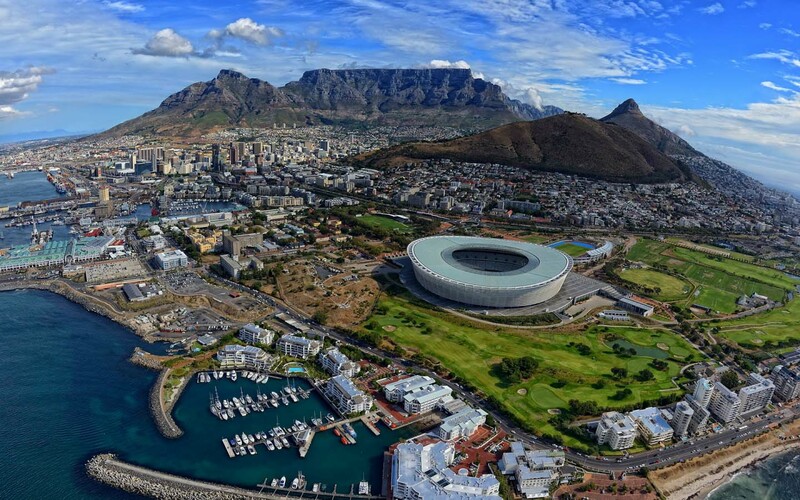 Other transport options at Cape Town Airport include shuttles as arranged privately with hotels or agencies, metred, Uber-style cabs, airport transfers in general, and the MyCiti mass rapid transport bus system which runs into town. MyCiti is convenient should you be travelling lightly. If not, a pre-arranged transfer, taxi or car hire are your best options. Cape Town International Airport is home to almost 3 800 000 departing passengers and 45 654 incoming air traffic movements. The passenger count has increased each year as more flight routes and direct connections have been added. Currently, 29 domestic and international airlines land and take-off from Cape Town Airport. An even more expansive runway is under construction so as to accommodate the mammoth multi-seat and -storey aircraft that are now increasingly being commissioned and used for air passenger travel. It is expected that air traffic and the number of airlines at this aerial hub will increase substantially once this new runway is officially declared open. 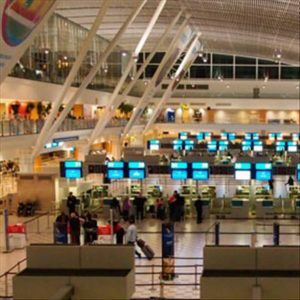 The airport is already extremely busy though – in fact, one of the local routes, Cape Town to Johannesburg, is rated the ninth busiest in the world! 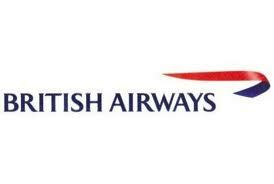 Internationally, you can fly directly from Cape Town to the Middle East, UK, Europe and Asia. As yet, there are no direct Cape Town-US flights – you have to transit via Johannesburg or the Middle East, typically Dubai. Search flights from all airlines at Cape town International Airport. Toggle between times, dates and number of stops to find a flight that suits you best. Book flights in real time on our website and get your e-ticket emailed to you. Pay via credit card or bank transfer using our secure payment gateway. Check live stats of arriving and departing flights at Cape Town International Airport to see if they are on time.